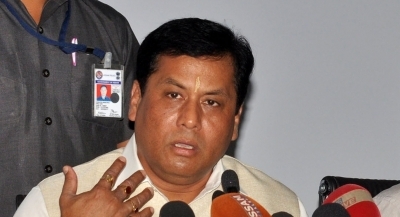 Guwahati July 14 (IANS) Assam Chief Minister Sarbananda Sonowal on Friday congratulated athlete Hima Das for bringing laurels to the country by winning India s first ever track gold in the 400-metre final at the World U20 Championships in Tampere Finland. The Chief Minister said the Assamese youngster has achieved a rare feat by becoming the first Indian athlete to win gold in such a prestigious track event and announced that the golden girl would be felicitated at a state level function. "In order to inspire the budding players of the state to aim big and the young generation to take up sports seriously Hima will also be made the state s brand ambassador for sports " Sonowal announced. Sonowal hoped that Hima will be able repeat her stupendous success at Asian Games to be held at Jakarta in August this year and the country s reigning sprint star would keep making the people of the state and the country proud by her achievements at the world stage.